Garage Cabinets are not just for consumers! 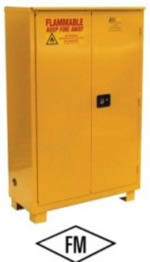 Many industrial customers now order garage cabinets on a regular basis. A Plus Warehouse is running a free freight program on Ultimate garage cabinets through May 2012 – including free shipping to consumers! 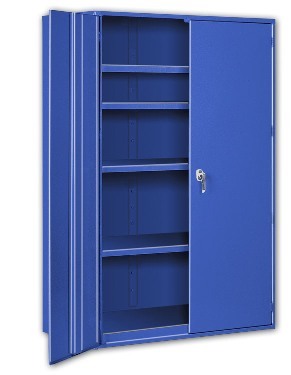 A Plus Warehouse wants to inform the waiting nation that a garage cabinet is simply a storage cabinet that has aesthetic appeal to consumers. That same appeal is applicable to industrial users as well. Free shipping may well be the X factor that convinces customers to try out garage cabinets. A Plus Warehouse has been a trusted source for storage cabinets and associated equipment for many years, and promotions should not diminish bread and butter lines. As a reminder, A Plus Warehouse is a national distributor for work benches, conveyors, storage bins and materials handling equipment in general. The company has a staff of trained salespeople eager to provide A Plus Service! Many of the items sold ship on a next day basis for amazingly prompt delivery. On the lines of garage cabinets and storage cabinets, A Plus Warehouse is able to run custom jobs of ONE piece due to the new lean manufacturing employed by our preferred manufacturers. Pucel Enterprises now employs lean manufacturing that has enabled the company to produce our items to specification close to 30 percent quicker than before, and enable unit specials. Lean manufacturing along with 3d modeling and JIT provides manifest benefit to A Plus Warehouse customers! Pucel’s commitment to excellent manufacturing along with A Plus Warehouse’s six sigma approach to customer service is clearly a great combination. A Plus Warehouse provides equipment coast to coast in the business to business space. Garage cabinets are a related item that sells well to consumers. By offering free freight, consumers avoid sticker shock associated with shipping and handling. The promotion A Plus Warehouse is now running affords industrial customers the same benefit as enjoyed by consumers- free freight – in order to encourage more garage cabinets transactions. 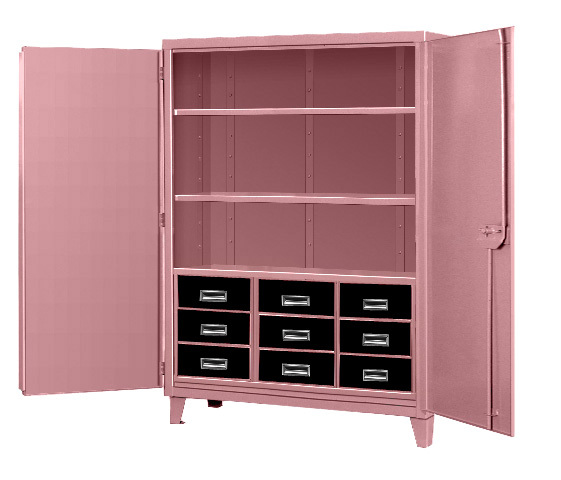 Garage Cabinets Safety Cabinet With Legs Good Old BIGBLUE Storage Cabinet Pink Elephant Cabinets - Nice looking , aren't they?? ONLY at A Plus Warehouse Best Prices!